What's Your Greene King Brand? Out of all of these, what's most important to you? Taking time to sit back with friends and enjoying the moment. Meeting all kinds of new people and sharing your traditions with them. Being there for your family, friends and community whatever may come. Being known as the best at what you do and amazing people with the things you make. Building the future while keeping the past alive. Making people happy and putting a smile on their face. Being popular and having fun along the way. A house by the beach. A cosy farm with a warm fireplace. A castle with airconditioning and central heating. A ranch you build yourself with plenty of room for your friends. Somewhere close to a cricket pitch. Anywhere there's good people doing interesting things. Which word sounds best to you? Which of these fictional characters is your favourite? Which of these would you prefer to do on a Friday night? To the pub with friends! Host a big dinner party. Take someone you care about out to do their favourite thing. Which of these movies would you pick to watch? Help a friend paint their house? Go visit a famous landmark? Get some jam, some toast, kick back and watch the telly? Invite a friend over for tea? Sit around with friends and tell great stories? Start working on a big project? Volunteer at the community centre? If you had an epic quest to go on, who would you choose as your companion? Which of these animals is your favourite? You were born to be one of our famous 'Day Makers'. Going above and beyond for others is in your nature and it's exactly what we're looking for at Hungry Horse. Join us and make someone’s day every day. You're anything but the ordinary. You've got a knack for the dramatic, you're fun and you're energetic. What's more no one's quite sure what you're going to do next, they just know -- whatever it is, it's going to be amazing. Guess what? There's a place that's made for people like you. It's called Flaming Grill. It's great people like you that make amazing things happen every day. At Farmhouse Inns, making guests go "WOW" is our specialty. Behind all of our incredible carvery, veggies, casks, ice-creams and marvellous cakes we offer there's passionate people who make it all happen. Warm, cosy, down-to-earth and full of character. You, like Chef & Brewer, are all about quality done right and you're always thinking of new things for guests to look forward to. Without a doubt, this is the place for you. You're dedicated to combining fine modern ambience with the brilliant cultural traditions. The past is not something you go to a museum to look at, it's something you experience in comfort and exceptional quality. That's why think you'll fit right in at Old English Inns. At the heart, you care deeply about delivering fresh, fine food of impeccable quality but also honouring and preserving the environment. That's why we can't wait to welcome you to Loch Fyne. Here, whatever we do, we do it with respect for people and ecology. You like keeping it wonderfully and deliciously British because let's face it, we've been doing hospitality right for centuries. We think you'd be a perfect match for Taylor Walker because we have a long history of providing great British pub food and treating our people right. You're traditional, full of variety, outgoing and friendly. Like our Local Pubs, you enjoy the smell of home-cooked food and love bringing people together. Whatever happens you know that being around good people in a good pub is time well spent. That's why any one of our 800 Greene King Local Pubs would be an amazing place for you to work. 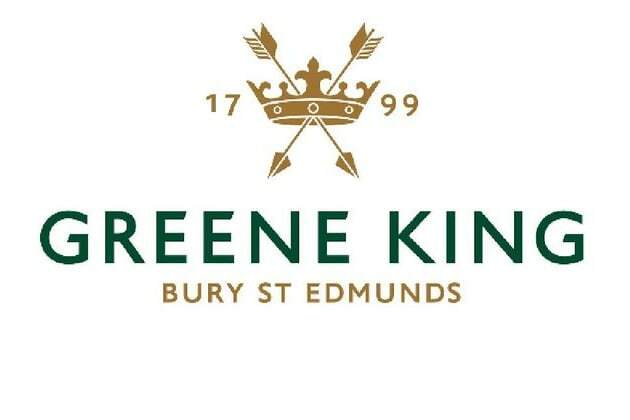 The Greene King family is made up of many brands that guests love and keep coming back to, and that you could be a part of. Just like the members of any family, each of our brands has its own personality and story to tell. Take this quiz and find out which one suits you best.